To cap the first day DFAT 2013 , we headed to Greenwich Ilustre branch in downtown Davao as they welcomed us with their latest pizza and pasta offerings : The Ultimate Special Overload Pizza, Ultimate Hawaiian Overload and the Greenwich Lasagna Supreme. Greenwich, one of the popular pizza chains in the country goes out of its way to bring mouth-watering pizza delights that not only exceed your expectation but also set a standard of best-tasting and value-for-money pizza and pasta there is. 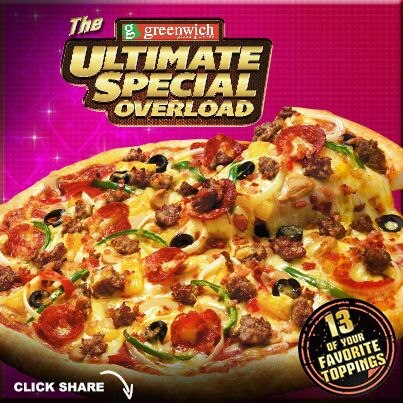 The Ultimate Special Overload Pizza brings you to an all-new world of gastronomic pizza experience. It is the most loaded pizza available in the market today, giving pizza-lovers the best tummy fix up to the last bite. The Ultimate Hawaiian Overload gives this famous flavor a new twist, which combines 2 kinds of cheese: Mozzarella and Cheddar, glazed pineapples, and 2 kinds of premium meats: ham and bacon. Its crust is baked and served fresh daily, crispy on the outside but soft and chewy on the inside. The Lasagna Supreme is now packed with more pasta goodness: thicker pasta noodles and chunkier meat sauce made even more delicious with 3 kinds of cheese. It is topped with creamy and rich white sauce with a piece of garlic stix. We couldn't help but smile with all these great tasting Greenwich goodies around us! 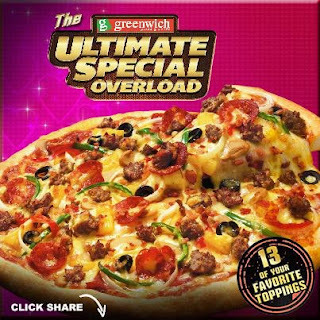 Like Greenwich's Facebook page: https://www.facebook.com/GreenwichPizza for their latest promotions and offerings. Call (082) 225-1000 for Davao delivery. I crave for pizza for a long time already. Pizzas here won't satisfy my craving; I know my palate misses Greenwich pizza. yum!!! the best pizza i like in town was also greenwich, they have the good taste that keeps you coming back for more. huhuhuhu! i miss Greenwich pizza and their lasagna! even though there are so many yummy and delicious pizza shops here, there's a distinct taste to Greenwich pizza, so Pinoy I guess. yummm... I'm drooling! Ang saya saya naman, wish I could come hehehe. Greenwich does not use freshly bakes crust, but it is good enough to create awesome tasting pizzas. I like Hawaiian flavored pizza. Overload nga talaga! Ang sarap ng pizza! 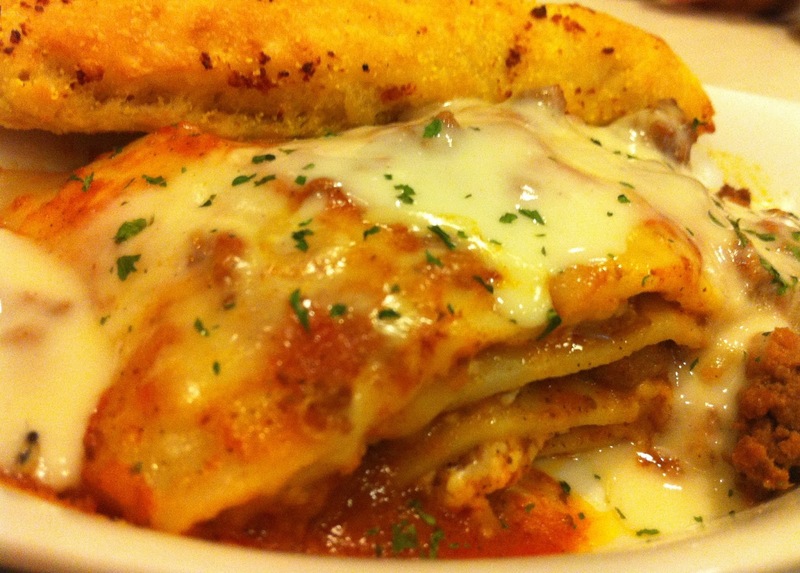 Mas pinalaking lasagna? Heaven! Wohooo! Mannnn, it's lunchtime here and I'm not supposed to eat yet but you made me hungry! lol! I love greenwich, love their thin crust pizzas and their pasta menu are also really good! I'm not really into pizza, but hubby loves to dine-in in Greenwich when we went home. My family loves Greenwich pizza and we always but one when there's special occasions.. yum! Now, I would like to try that lasagna supreme soon ! I miss Greenwich pizzas. I used to go there with family and friends. YUMMY pizza. Davao Bloggers are that united talaga.